02 | August | 2010 | Through the seasons before us..
We’re only gonna go and sign a left back! If, and it’s a big if, the Evening Post website is to be believed. That said, it’s a name I’ve heard whispered from people who talk to the people who would know these things, so let’s hope it’s true. It would suggest we’ve not made any progress on Billy Davies’ clear desire to land Nicky Shorey, however, Ryan Bertrand on a long-term loan from Chelsea isn’t a bad plan B, that’s for sure. 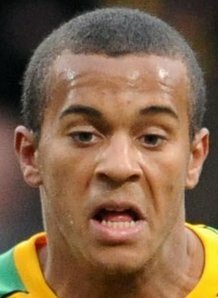 Bertrand is a pacey fullback as he was converted from a winger in his younger days – and has been spoken of as the successor to Ashley Cole. Then again, I remember when Craig Armstrong was described as Psycho’s natural heir, so I might take that with a pinch of salt for now! He started out at Gillingham where Chelsea signed him back in 2005 for £125k, with add-ons dependant on progression. Since then it’s been a lot of loans, he’s been out to Bournemouth a couple of times, Oldham Athletic and then Norwich City in 2007/2008. He proved a popular addition at struggling Norwich, featuring both as a fullback and a winger – and indeed, returned there for the first half of 2008/2009 before going to Reading for a season-long loan last season where he had a decent season – and, to endear him further, notched his first professional goal – against Derby – last March. Given the changes to Premier League rules around squads of 25 having to be pre-named, I can see a fair few top flight youngsters and fringe players being made available for loan. I dearly hope the Evening Post haven’t jumped the gun on this one as they have in the past – the recent past too, they were reporting that Brendan Moloney was going to Notts again for the season before a deal fell apart. The next 24 hours should make things clear.